As a leading technology services company and a comprehensive provider of consulting, integration, procurement and support services, Right! Systems professionals work directly with you to provide insightful analysis and industry-specific counsel on strategy, best-practices, technology and management; from the design phase through implementation and beyond you can be sure we have a solution that will work for you. Connect with Right! 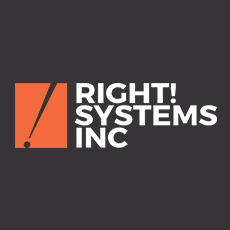 Systems Inc.